Gilbert Sami, like his fellow Assyrian players, was an amazing and outstanding soccer player who started playing soccer in his early teens in Habbaniya, the place of his birth. He played from 1955-1958 for the Assyrian Sports Club in Baghdad as a left full back and centre half. He was a highly talented and skilled footballer, a rare defensive breed, who was confident on the ball and a controller of the field. 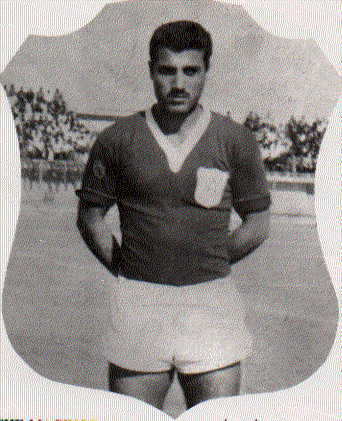 He joined Al-Quwa Al-Jawiya in 1958 where he played for two years. From 1960-1963 he represented Montakhab Al-Shurta (Police XI) and then went onto play for Aliyat Al-Shurta until 1973. 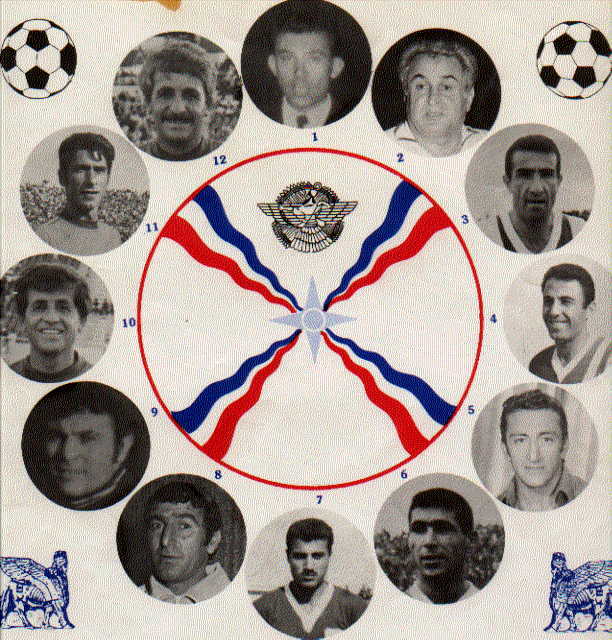 With the Police teams, Gilbeert won the Iraqi Division One on five occasions, and lifted the Kas Jumhouriya (Republics Cup) twice. Gilbert’s athletic career was filled with triumphant events. In 1958 he was selected to play for the Iraqi Army team and made his debut against the Syrian Army team, a game which Iraq lost 3-2. But in his second game, Iraq beat Egypt’s Army team in Halab (Aleppo) for the first time in the history of Iraqi football. Gilbert played for Iraq alongside with great soccer players such as Ammo Baba, Youra Eshaya, Jamil Abbas, Khoshaba Lawo, and many others and participated in a number of games against foreign teams, representing the Iraqi Army and national team for 10 years. In 1973 he left Iraq for Lebanon and there he played for Al-Istiklal and was appointed as a coach until 1975. When he joined, the team were in the second division and due to his strenuous efforts and great coaching experience, were promoted to the top flight and defeated some of the best teams in Lebanon including Racing Club de Beyrouth and the Armenian club Homenetmen. In 1975 he immigrated to the United States with the members of his family and resided in Chicago where he was named head coach of an Assyrian soccer team known as the Winged Bull. Soon under the guidance of Gilbert the Great with his valuable instruction and professional coordination, the Winged Bull went to the second division, first division and finally winning the major division title of the soccer tournament of Illinois. He was only ten years when he was rolling the ball forward and from that day on, he would reach the peak of fame like his late father Sami Tittouna, one of the best players in Iraq in the 1930s and 1940s. The dream during his childhood had become reality and Gilbert became a shinning soccer star which would never disappear from the skies of Iraq. Countries visited: England, Russia, China, N. Korea, Vietnam, Italy, Hungary, Sweden, Denmark, Switzerland, Burma, Pakistan, Turkey, Egypt, Iran, Kuwait, Syria, Lebanon, Jordan.